I'll show you how to fix it. Use your favorite search engine to find the Sysinternals utilities for download from Microsoft. You need the movefile utility. It may come with the pendmoves utility also. Restart your computer. 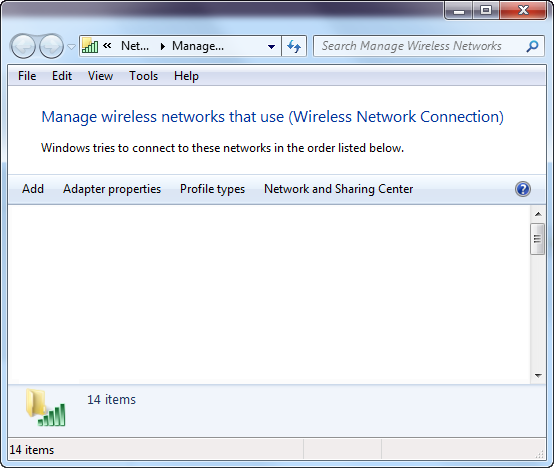 Your Manage Wireless Network list should now include your wireless networks. Why does this work and what caused the problem in the first place? I have no idea. I found this solution on this Microsoft answers website which in turn links to this Microsoft KB article.